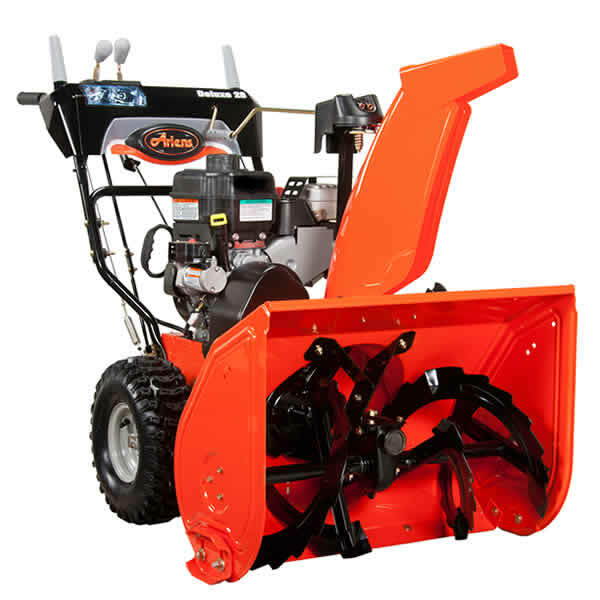 This is the summary of consumer reviews for Snow Joe Ultra SJ620 18" 13.5-Amp Electric Snow Blower. The BoolPool rating for this product is Very Good, with 4.30 stars, and the price range is $119.99-$199.00. 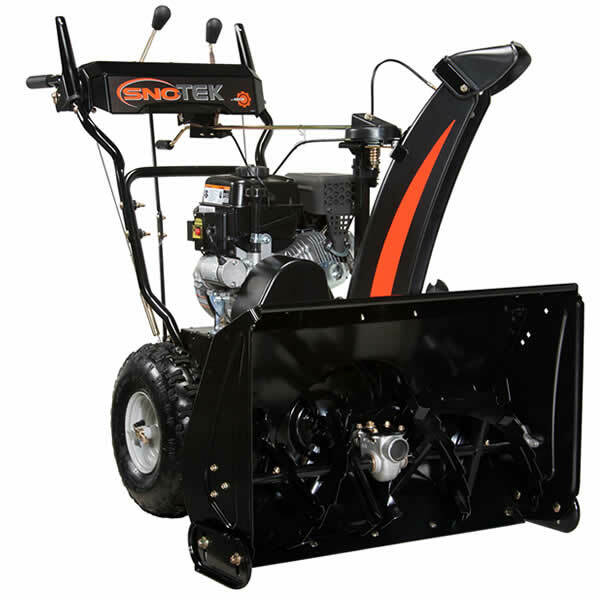 Not too heavy, easy to install, easy to use, fast snow removal even at 14 inches of snow. Easy to manoover and cleans the drive well. The product is easy to use and works good. This product was so easy to assemble - it took 5 minutes. Adequate for me. 3) Assembly was easy. It's lightweight and easy to operate. But because the Snow Joe is so light it was very easy to push. It was easy to assemble and get going. I love my little Snow Joe!. Both times this little guy cut through wet heavy snow like a warm knife slicing butter. Update: 2/3/2011: Well, I'll be darned...we just had 20 inches of snow, and the little Snow Joe handled it all, including a 4 foot drift across our driveway. This's been a great little item for the price. Well, this little guy just took care of another 5" of wet snow. We received about a foot of snow and with the wind blowing, there were some deep drifts, but this little machine tore through them without any problem. 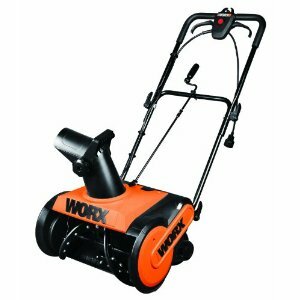 This's a great little snow blower, definitely worth the price. This thing is the little engine that could. We bought this little snow blower to help clear the snow off the deck. A little assemble needed but no more than 5 minutes. 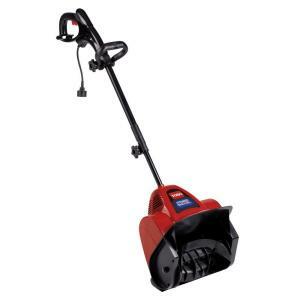 I got a Snow Joe Ultra SJ620 13.5 Amp Electric Snow Blower with my eyes open great price, good unit if you're careful, extension cords can be a hazard this snow blower works well in dry snow and is light enough to handle well, and heavy enough to do its job. 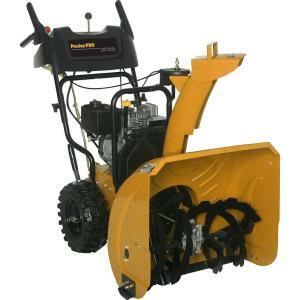 This worked all winter and even worked in heavy wet snow really did fast work of snow removal compared to shovel. this blower works well for snow less than 1 foot. 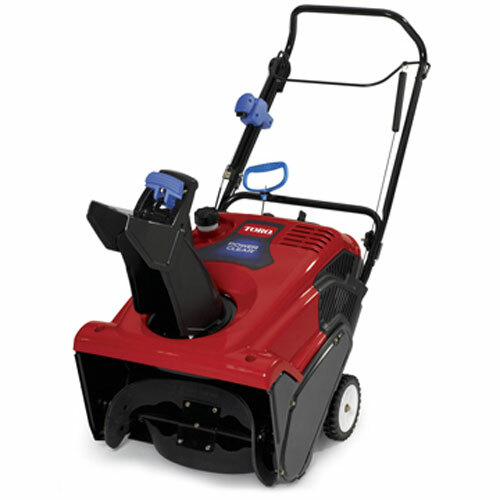 Bottom line Great product handles snow well. A cord retractor is recommended and a second stage blower for lesser amounts of snow would help, but overall it handled the deeper snow very well. Good buy, well worth the purchase price. Mine came with the Snow Joe '50 foot heavy duty lighted extension cord. first snow was wet second dry and worked with both. Sometimes it's hard to keep the cord out of the way, but the machine works well and I'm glad to not have to do a gas and oil mix. 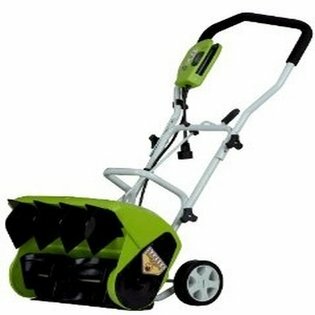 The first time I used it was in a 10-12 inch snow fall and it worked perfectly. This guy works really, really well!. I proceeded to shovel about a 100' driveway of 4+" WET snow with little effort. Electric easy start, Just have to watch my electric cord. Pulling the cord around was no big deal (one of my reasons for buying the Toro a few years ago was to avoid dragging a cord). But cord inconvenience is the trade off for maintenance (gasoline, spark plugs, etc) of a gas unit. The extension cord I thought would be a real inconvenience but it worked out just great. My neighbor guy (who owns a gas powered, 19inch blower) stopped by during my little endevour with using this champ and was amazed that it was electric powered. I immediately Got the Snow Blower going and cleared my 7 by 25 ft driveway with 7 inches of snow in about 10-15 minutes. I've used it three times on 2-3 inches of snow and it's worked great. After a reasonable amount of time the driveway was clear. In 30 minutes, I cleared a 20x60 driveway. Cleared my driveway in half the time as shoveling with a tenth of the effort!. Hubby used the snow blower first time and he was thrilled Took quite a while to clear part of the driveway around two cars, but way better than shoveling! 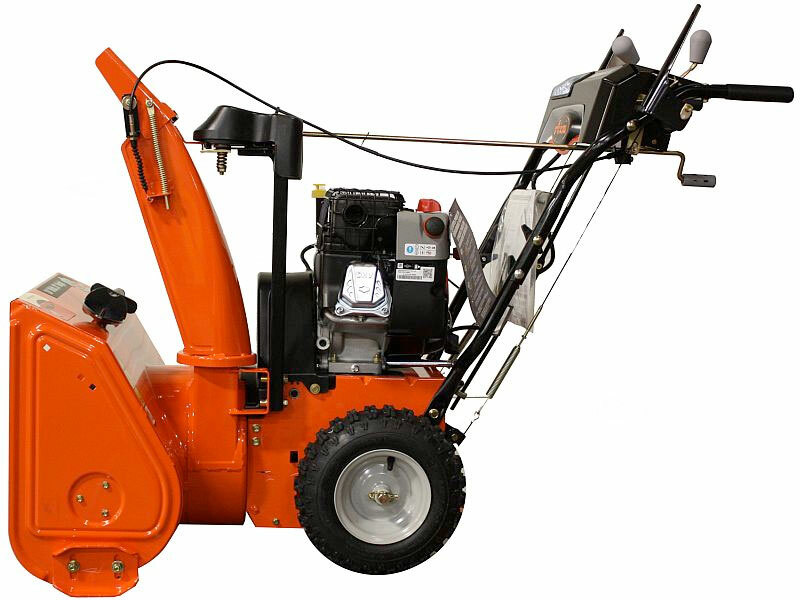 If you use this machine regularly so that the hard crust never forms in the first place (this crust was left over from the last time I'd cleared the snow of my driveway with my shovel, before I bought this snowblower), you shouldn't have any problems getting a totally clean driveway with this blower. When the snow started I was out on my driveway and zipped through 6 inches of snow with no problem at all, my driveway will fit 4 cars easily. No way I could have shoveled 27 inches of snow from the 30 yard driveway. 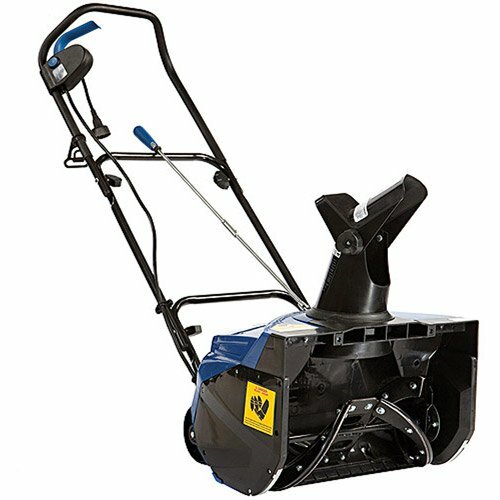 I bought this snowjoe sj620 to help me clear the driveway when my spouse couldn't - it more than exceeded my expectations. But with that said, it'll keep the sidewalk clear and help out with the driveway. This snow thrower was used several times this past winter and did the job of clearing my driveway nicely. Used it for the first time and it did a great job. Used it first time and it worked great. Snow Joe Ultra did a good job on our first 3" snowfall of this winter season. Best thing I've bought in a long time. I ordered my SnowJoe just in time for the first snow of the season. Elapsed time -- four days, at which time they tell me no order was ever placed. The Snow Joe did a wonderful job the last three times I used it. Does a great job removing snow--I've used it five times since I bought it a couple of weeks ago.